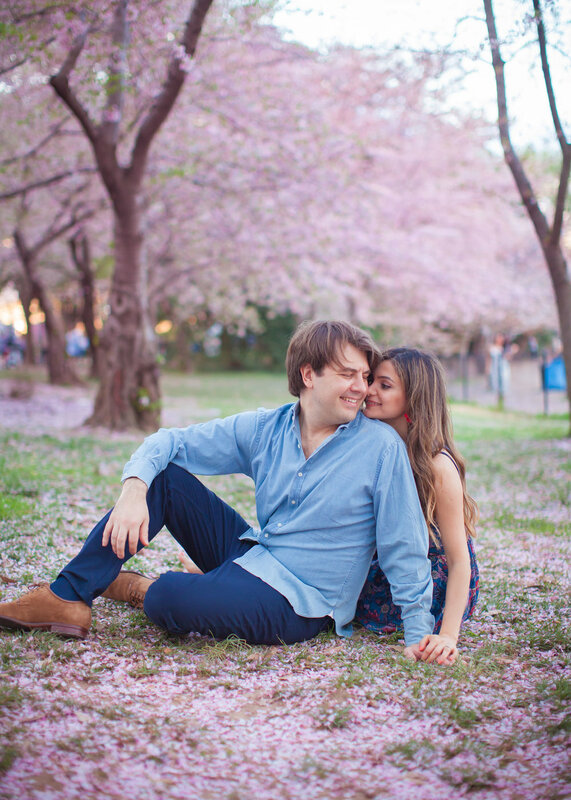 I absolutely adored watching these two together as I photographed them around the cherry blossoms - romantic, easy, and happy to let me take their photos well past sunset for some fun nighttime shots. 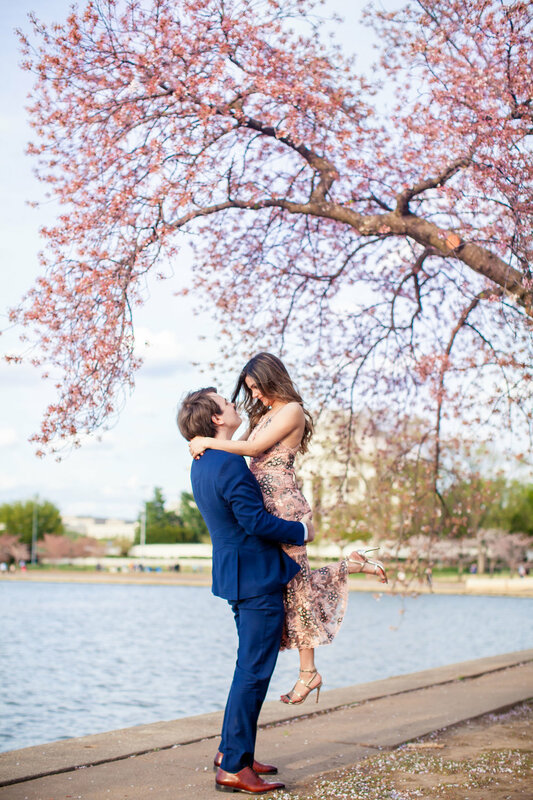 On the edge of the Tidal Basin, Ryan proposed to Rachel this week during DC’s cherry blossom festival. 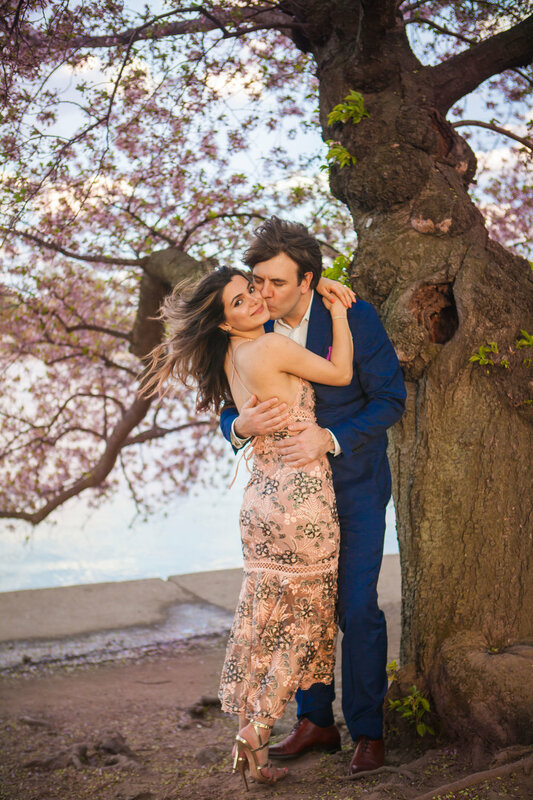 They spent the rest of the afternoon strolling among the trees, getting swept away by floating blossoms, and celebrating their engagement. Congratulations!